well anyway, it all builds fine though I can not see the Model at all, however the draw function is executed..
// Look up our custom skinning information. // Create an animation player, and start decoding an animation clip. // Look up the absolute bone transforms for this model. Can anyone tell me what I m doing wrong in blender? 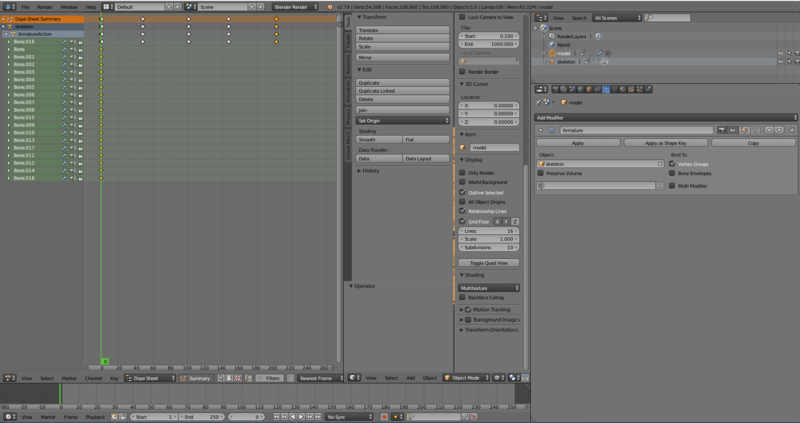 Is there something specific I have to do so blender exported fbx files work? I'm not saying it's wrong, but are you sure you are supposed to incorporate the root bone into the world matrix?